An explanation of the RUC/PSNI (black bastards), explained by a black man. This is who the irish people referred to as black bastards and as the english media tried to make it out that it was a racial term. 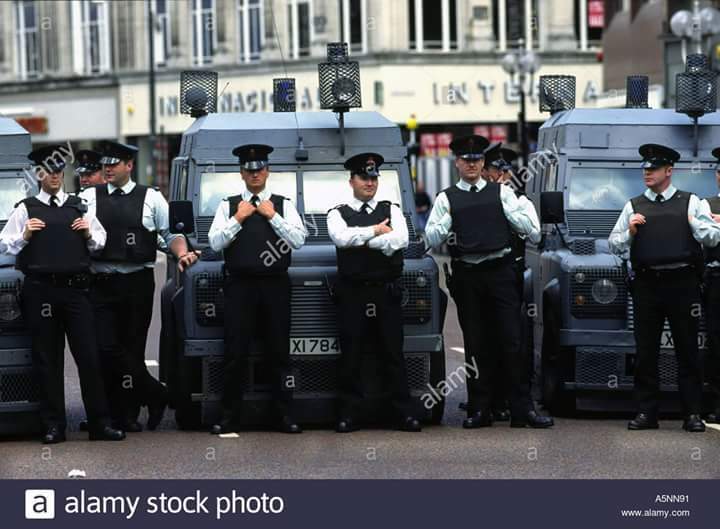 It actually had nothing to do with race but the colour of the uniform this was the norths police force called the RUC meant Royal Ulster Constabulary. Most people mention the republics as irelands police An Garda Siochana (irish police force) or gardi for short has no jurisdiction in the north. 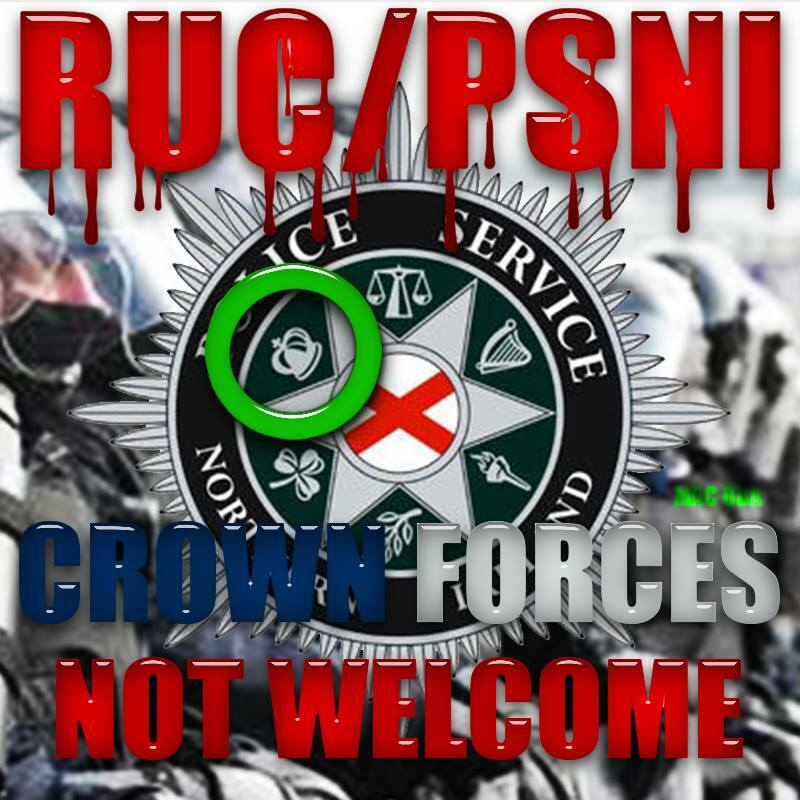 The RUC was established in 1922 and reformed in 2001 it ceased to exist. while a massive majority protestant police force who brutalised and oppressed the catholic population the beating of pregnant women collusion with loyalist killers and the murders of innocent people with either the use of plastic bullets or live rounds. 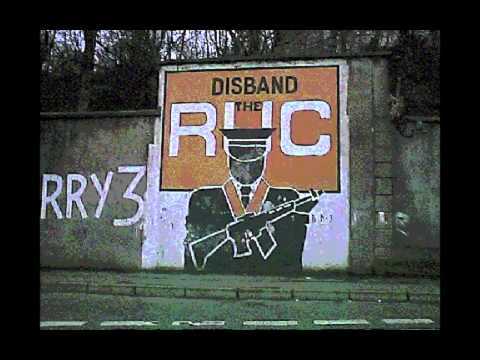 In 1983 the RUC was considered the most dangerous police force in the world to be part of. 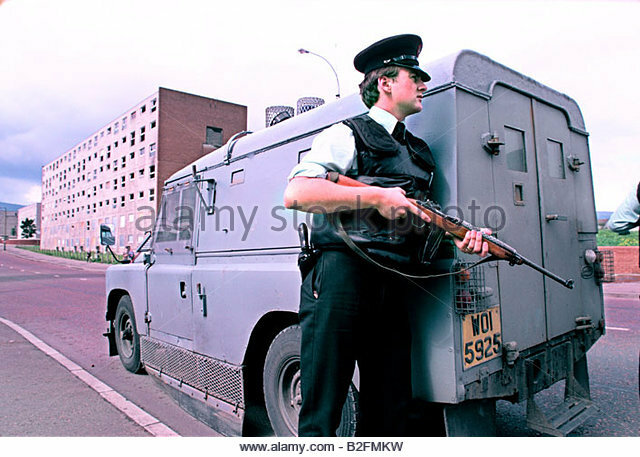 The actual colour of the uniform was like a dark green but under certain lights looked black so the irish called them black bastards or chanted ss ruc ive seen both done both they were not nice at all carrying SLRS the killing of the RUC during the conflict was entirely justified i BELIEVE. With many thanks to: Aaron Andrew – Irish All Over The World. Previous Previous post: A vote for the DUP tommorow is endorsing Terrorism and support for Loyalist Paramilitaries of the UDA & UVF and the future of the North of Ireland !!! 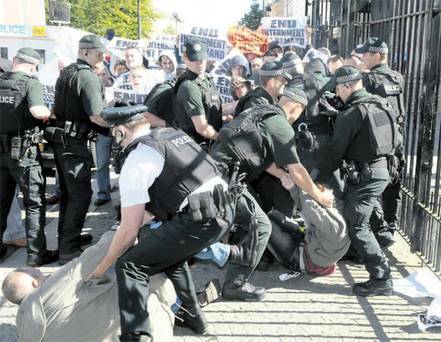 Next Next post: More Harressment & Intimidation by the RUC/PSNI on members of Republican Sinn Féin (RSF).